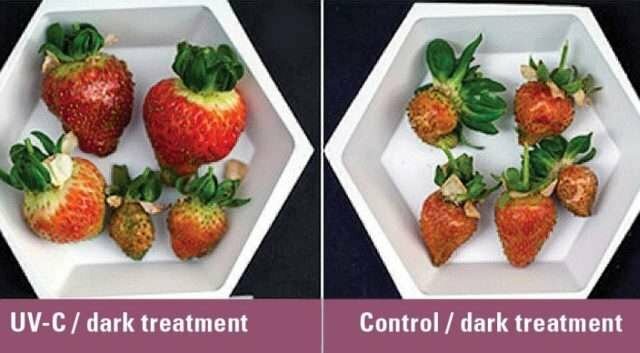 Whether you are growing strawberries, tomatoes, or just about anything, it is likely that you have to deal with gray mold, black spot, and powdery mildew at some point. The moisture and climate that is best suited for plant growth just overlaps too significantly with the ideal nesting ground for these microbial parasites. Some genetic strains are more susceptible to these crop destroying parasites but even resistant strains can fall victim to them. Luckily they all react well to careful and minuscule UV-C irradiation. Why Use GermAwayUV's Products as Opposed to Standard Fungicides? Although fungicides have been commercially available for decades, as time has progressed, the vast majority of strains have developed substantial resistances to even the harshest fungicides. Additionally, the chemicals used in the fungicides can contaminate the plants that they are trying to rid of these fungal parasites. When you use ultraviolet light in the UV-C segment of the spectrum, the DNA of the mildew is broken down and rendered harmless without contaminating the host plant with potentially harmful chemicals. How Much UV-C Is the Right Amount ? Everybody's horticultural set up is different. Plant growth and harvesting is something that allows us to be creative while still scientific. Unfortunately, this also means that without taking some samples and measurements, nobody is able to tell you exactly how much UV-C light needs to be used to eliminate your fungal or bacterial parasites. If you use too much UV-C, you may cause damage to your plants. 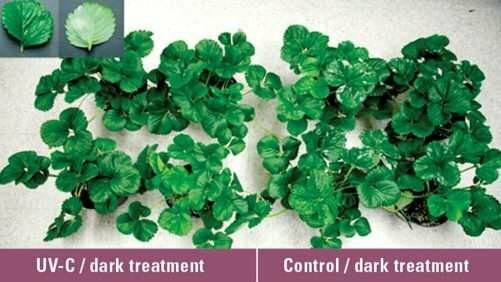 Not enough and you won't sufficiently eliminate the resistant molds that attack your plants. Luckily, figuring out how is a very simple way to find your exact numbers without putting your plants at risk! Give us a call 1-800-977-7292 and we will set up a call with an application specialist to help you figure out what´s right for your set up. 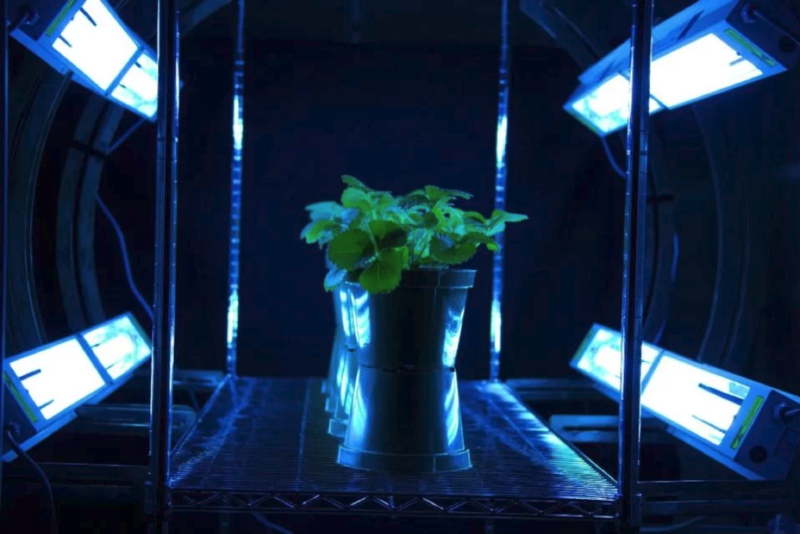 Set up your GermAway 55 Watt UV-C system 3-5 feet away from your plants. Call us to learn how your set up can vary from this. Since every set up is different, we understand a bit of consultation would be welcome. Please feel free to call us at 1-800-977-7292 or email us at sales@cureuv.com and we'll get you in touch with one of our application specialists!